The common course of action is for the corporation to use a different name when conducting business in that state. The formal expression for this name varies, but will almost always be one of the following: “alternate name,” “assumed name,” “fictitious name,” “modified name” or “trade name.” Most states require that the fictitious name (the term used most often) be available for use and that it contain a corporate indicator. Some states make the corporate indicator optional; however, New Hampshire, New York and Vermont do not allow it. It is likely that the fictitious name will be listed on the amended qualification filing, usually next to, or very near to, the new corporation name. In several jurisdictions, there are requirements for a foreign corporation to obtain consent to use its new name from the existing conflicting entity. 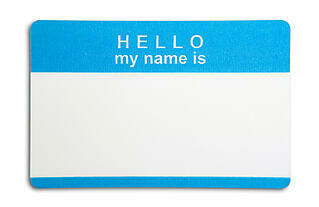 There are several states in which an additional form is required to designate the fictitious name. In Hawaii and Maryland, since there is no qualification amendment form to file, the form for the fictitious name is the only filed document. Montana, New Mexico, Oklahoma, South Carolina, Vermont, Wisconsin and Wyoming do not allow the fictitious name to appear on the qualification amendment, so the additional form must be filed along with the amendment. The fictitious name appears on the amendment plus there is a separate required filing in Illinois, Iowa, Maine, New Hampshire, North Dakota, Pennsylvania, Tennessee and Texas. Many jurisdictions also mandate that, in addition to the qualification amendment and any other state filing(s), the corporation attach a resolution from the Board of Directors which authorizes the use of the fictitious name. The specific requirements for signatures and wording of the resolution vary, so it is important to confirm what is needed for each state in which an entity is authorized to do business. Kansas requires either consent from the existing entity or a letter included at the time of filing, stating that the corporation will list its home state as a means of identification and in its advertising. In Massachusetts, there is a subsequent filing requirement in the city or town where the corporation’s business address is located. 1) Is the fictitious name available? 2) Does it need a corporate indicator? 3) Should a resolution from the board of directors be drafted? 4) Is there an additional fictitious name form to be filed? 5) Are there other unique requirements in this jurisdiction? Obtaining the answers to these questions in advance for each foreign jurisdiction will enable you to properly address the name change and avoid rejection and delays.